size 14 for 13-14 yrs: Chest,32"/Waist,30"/Shoulder to hem(dress length),53"
Before you place the order, please check the size chart on our website. If the standard size doesn't fit you, you could email us and provide the custom made size in advance. If you need the dress urgently, please pay for the express freight and email us your deadline,we will try our best to send the dress in time. The dress is full length dress with sequins and rhinestones decorated. Shiny princess pageant wear. 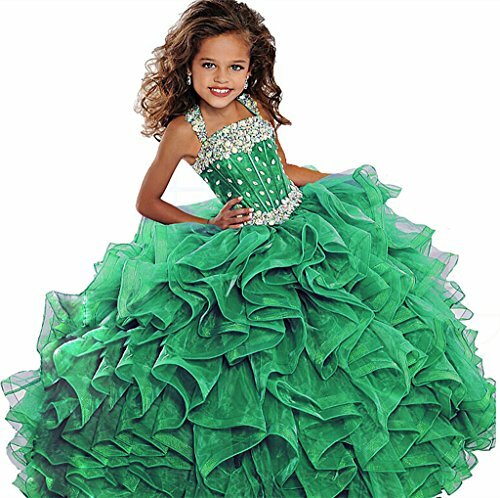 It is made of luxury Organza. If you have any questions about this product by WZY, contact us by completing and submitting the form below. If you are looking for a specif part number, please include it with your message.